EGO, the leading manufacturer of battery-powered outdoor power equipment, received six 2017 Pro Tool Innovation Awards, which recognize groundbreaking products that are pushing the industry forward and providing excellent value, cutting-edge features and the newest innovations. The winning EGO Power+ products include the following Lithium-ion battery-powered outdoor equipment: 600 CFM Backpack Blower, 530 CFM Blower, 21” Self-Propelled Lawn Mower, Power Head String Trimmer Attachment System, Cordless 56V Single Stage Snow Blower, and 15” String Trimmer with Rapid Reload Head. Since its inception, EGO has been at the forefront of outdoor equipment innovation with its marketing-leading patented Arc Lithium™ ion battery. Building on that heritage, EGO won this year’s awards based on pioneering technology innovations such as the first-and only battery-powered self-propelled mower, and an arsenal of outdoor products boasting increased power and performance without the noise fuss and fumes of gas. “We’re honored that so many EGO products have been consistently recognized by the Pro Tool Innovation Awards. Year in and year out, we are constantly thinking from the consumer’s and professional’s perspectives, and working to address category challenges in new and innovative ways. From our product managers and engineers to marketing and sales teams, everyone at EGO shares this honor because we all worked together and played an integral role in bringing the best possible products to market. In the end, it’s a validation that the time and care we take to design and constantly innovate our products helps push the industry forward and most importantly, serves our evolving customers’ needs,” said Joe Turoff, Chief Marketing Officer of Chervon. The EGO product line includes lawnmowers, trimmers, blowers and chainsaws that all use a patented Arc Lithium™ battery technology compatible across the line to deliver long-lasting, quick-charging, clean-energy power. EGO Power+ equipment is available exclusively at The Home Depot. 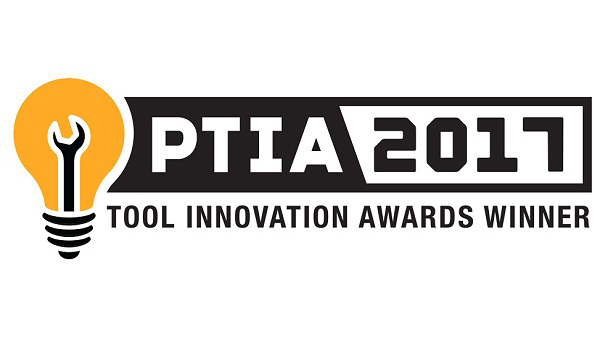 For more information about the Pro Tool Innovation Awards, visit https://goo.gl/bSfYzW. The EGO brand of cordless outdoor power equipment delivers POWER BEYOND BELIEF and is the brainchild of Chervon, one of the world's largest manufacturers of electric power tools and related products. For the past 20 years, Chervon has specialized in researching, developing and manufacturing electric power tools for many of the largest professional brands. The company's philosophy— to build a better world by building better tools— has earned it a reputation for quality and innovation. Notable achievements include introducing the first ever power tool equipped with a laser guideline, leading the laser level and digital level markets, lithium-ion power tools and, most recently, the launch of EGO. Chervon is a global operation with locations in the U.S., Canada, Europe, Australia and Asia. For more information, visit www.EGOPOWERPLUS.com.